I am the 2017 Multicultural Undergraduate Intern for the Paintings Department in the J. Paul Getty Museum. After completing my undergraduate degree at UC Irvine with majors in art history and journalism this past June, I spent the summer researching, writing, and working with the paintings curators. I love getting to be around the collections here and using the amazing library at the Getty Research Institute. I’m still interested in too many artistic styles and time periods to have a favorite, but I do have a fondness for French impressionism, contemporary art, Dutch still lives, and ancient Rome. 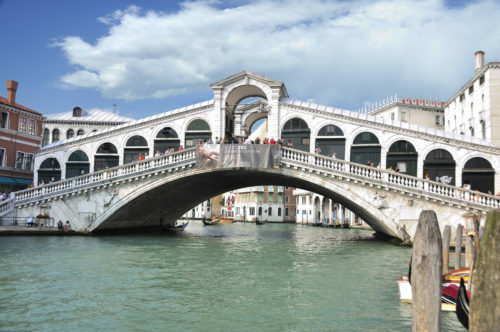 On Venice’s postcard-perfect Rialto Bridge.